Regardless of how efficient your company is and how awesome your products are, you’re bound to run into unsatisfied customers eventually. It can be tricky when dealing with angry customers on the phone—how do you know what to say and what not to say? If you’re not accustomed to dealing with unhappy customers, their anger can take you off guard and inhibit you from providing them with a proper solution. 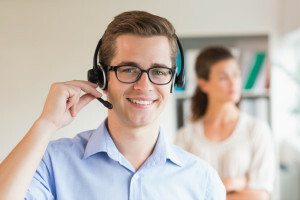 Hiring a third-party call center to handle customer inquires and complaints can help avoid this and remedy some of the common problems that your customers encounter. Not everyone knows how to handle an irate customer, but professional call centre agents do; it’s their job to know exactly what to say to calm down an upset customer and help them resolve their issue. Handling angry customers can be a delicate situation; if handled improperly, they can potentially damage your brand’s image and cost you business in the long run. Unsatisfied and unhappy customers are more likely to leave negative reviews about your company online than those who are pleased with you—this can reflect badly on your business and deter future customers from choosing you. It’s a common misconception that if a customer calls and expresses their dissatisfaction with your company then they`re already a lost cause. No matter how upset they may seem, there’s still a chance you can retain their business. It’s estimated that as much as 90% of customers who feel that they’ve been wronged never complain; instead, they just take their business elsewhere. While it may seem impossible, the chances of retaining a seemingly upset customer are quite high. If the customer had truly given up on your company and already decided to take their business elsewhere, they wouldn’t be calling your support center. Your customer service agents will need to take advantage of this window of opportunity or else you may lose their business for good. 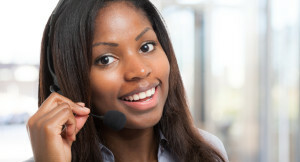 A professional call center agent will know that the first step in dealing with an angry customer is to listen. They’ll be able to tell if a customer is angry within the first few seconds of the call—if they are, representatives will hold back and be prepared to listen. They’ll listen to their grievances and let them say everything they need to before proposing a response. An angry customer will only become angrier if they’re interrupted or made to feel that they’re being cut off. Some customers simply need to voice their concerns and let someone know about how frustrated they are. When you sit back and listen, some may apologize and move forward with the conversation with no further anger. The best thing to do is listen—no matter what. It can be hard to remain respectful when thinking about what to say to an angry customer after they’ve probably been a little less than respectful towards you. Even if customers are hostile towards representatives on the phone, representatives must try their best to detach from the situation and treat the irate customer with the respect they would any other customer. They’ll calm down eventually, and they are guaranteed to find it difficult to keep being rude and hostile towards a representative who is being nothing but cordial and respectful to them. While it can be a difficult task to handle a difficult customer at a call center, the key is to remain calm. The irate customer will likely be riled up and ready to argue if agents contest them, so remaining calm will sometimes help them calm down too. If agents match hostility with anger, it will only make the customer angrier and the agent more frustrated. Instead, focus on using an even tone while speaking and take a few deep breaths to help calm your nerves and exude the impression of calmness. We’re all customers too, so agents should put themselves in the customer’s shoes and think about how they’re feeling about the situation. Letting them know that their feelings are valid and are taken seriously can mean a lot to some customers. A little empathy can go along way—simply letting customers know you feel their pain can help calm them down and give them peace of mind. While representatives may not have been the one to cause the issue in the first place or not have anything to do with it at all, they should apologize on behalf of the company. They are agents of the company when they speak to customers and should take responsibility for any misgivings that customers may have experienced. The most important part of handing a difficult customer is trying to resolve their issue. They called with a problem, and the best way to diffuse their mood is to solve it. 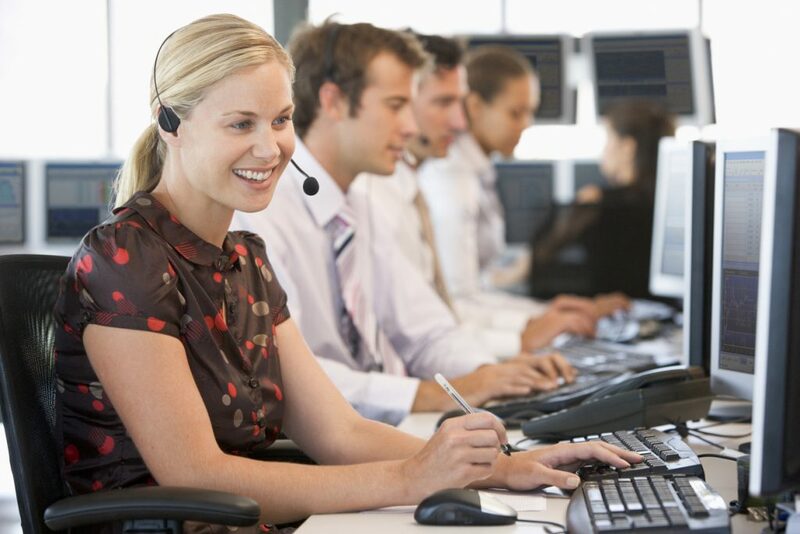 However, call center agents may not have the ability to address their specific problem, in which case, they can offer compensation to the customer. This will make them feel important and let them know that their business is valued even though their problem couldn’t necessarily be taken care of the way they wanted—making them happy is the next-best option to resolving their problem. An advantage of dealing with angry customers that eventually become satisfied customers is the ability to gather feedback on what they thought about the process. This way, companies and customer service agents can work towards eliminating common issues that customers often encounter. You need someone to take care of your unhappy customers and turn them into satisfied ones, so call 3C Contact Services today. We have a full team of customer care professionals who have been trained to deal with angry customers. They’ll be able to solve all of your customers’ concerns with ease and will increase your customer retention rate. 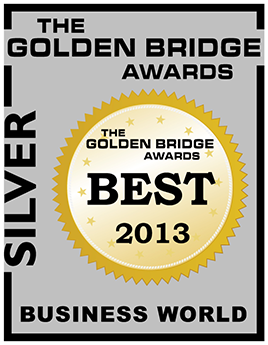 If you want the best service for your customers, contact one of the top-tier third-party call centers in the GTA. Call us today for more information on how we can help your business.